Click Here to Become a New Patient. Assessments, individual/group treatment, and parent education. Advocacy and parent education of special education services. Meet the other members in our family of service providers. 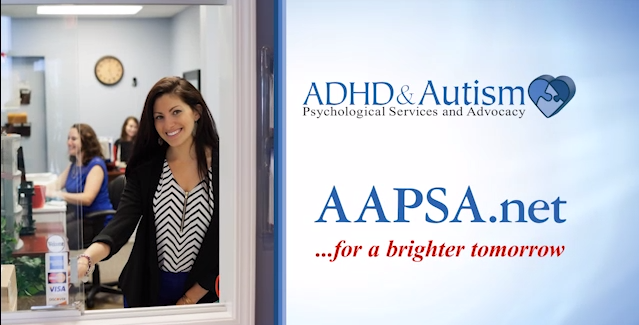 ADHD & Autism Psychological Services and Advocacy specializes in assessment and treatment of neurodevelopmental disorders including ADHD and Autism. However, we also provide our expert services to children, adolescents, and adults with associated disorders including depression, anxiety, substance abuse, learning, and conduct disorders. Use the links above for more information on the types of disorders that we commonly assess and treat.